Omni Directional Technology provides 360 degree visibility for increased safety, all in a low profile design. Awesome triple-LED performance at an economical price.BE SEEN: The Omni 3’s high power LEDs provide excellent visibility, keeping you safe on the road. LIGHT FOR EVERY RIDE: The Omni 3 offers constant, flashing, and rapid light modes. GO THE DISTANCE: Your Omni 3 won’t stop until you do, providing up to 150 hours of battery life. SECURE AND GO: Spend less time setting up your gear and more time on the road. With our FlexTight Bracket, you can easily mount, adjust, and move your light by hand. ALL WEATHER PROTECTION: Don’t let a little rain stop you from riding. 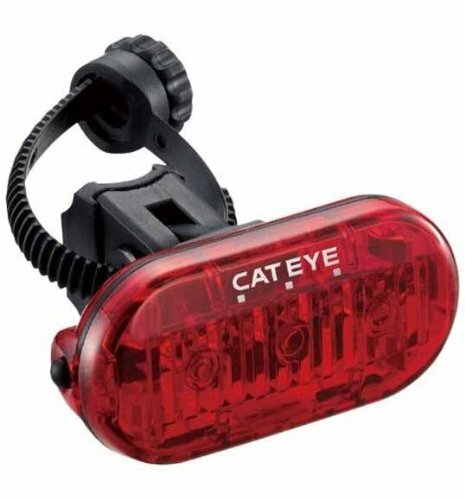 Your CatEye safety light is approved to work in all weather conditions.